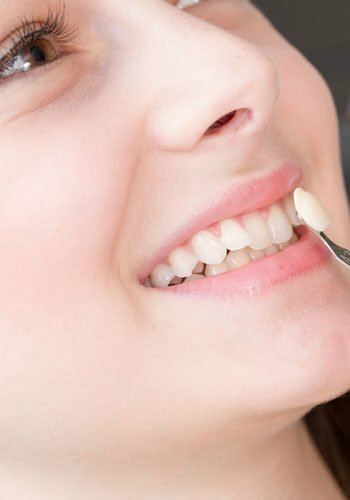 Dental veneers are ultra-thin, tooth-colored shells, bonded to the front surfaces of your normal teeth. They can drastically change your appearance to a straighter, whiter, blemish-free smile. Porcelain veneers are the most widely recognized type of veneers used today because of their aesthetics and structural superiority. Life-like porcelain perfectly mimics your regular finish, making it nearly impossible to distinguish veneers from your natural teeth. With proper care, durable, porcelain veneers can help you achieve a virtually flawless smile that can last for several years. veneers require minimal modification to existing teeth.